Welcome to the December edition of our newsletter. We do hope that you, our valued Clients, Partners and Well-wishers have had a good year during 2010. Advance Valves believes in providing a complete spectrum of valve solutions in terms of metallurgy, pressure class and size, for our product range. Our Balancing Valves (also referred to as a Double Regulating Valve, DRV) are used primarily in the Heating, Ventilation & Air conditioning (HVAC) sector . 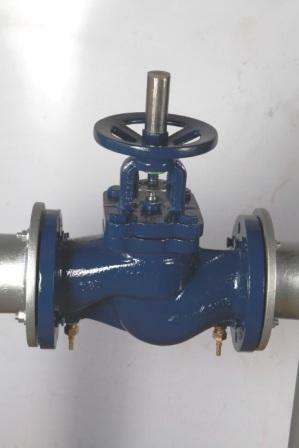 These valves are also used in Desalination plants for Chilled water, glycol and brine solution applications. 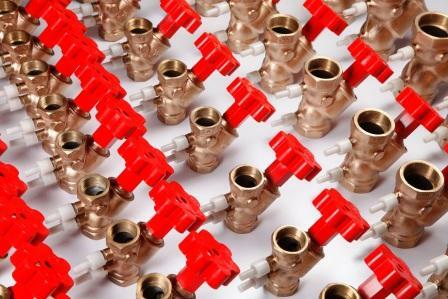 Our valves are considered to be a de-facto standard in the Indian HVAC sector, and whilst Advance Valves pioneered the manufacture of these valves in India 25 years ago, it continues to remain a market leader today. These valves are sold in the size range of 1” – 12” (25mm to 300mm) with a pressure rating of upto PN 16. The Valve Design Standard complies with DIN 3202 / BS 7570. Valves are available in gun-metal from 15mm to 80mm and cast iron from 80mm to 300mm. In order to support large HVAC plants, we have enhanced the range of our Balancing Valves. Today, we can supply specially designed Double Eccentric Butterfly Valves upto 1000mm and upto PN 40 which “doubles up” as a DRV. This design has been developed using Computational Fluid Dynamics (CFD) and validated in our fluid flow labs. This is a patent pending solution that gives our customers the ability build larger HVAC plants for a growing India. They also achieve higher energy efficiency in these large systems, where it can have the most impact on the overall carbon footprint of the buildings HVAC system, usually 40% of a building's energy bill. 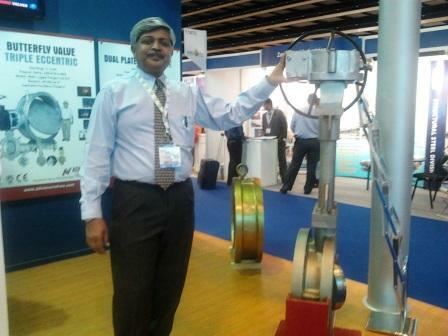 Advance Valves participated at the ADIPEC World Expo 2010 held in Abu Dhabi at the ADNEC from 1st Nov. to 4th Nov. 2010. This expo received over 40000 visitors, a record. Our stall too registered a significant number of visitor footfalls during this event. Our Dual Plate Check Valve, UL-Certified Concentric Butterfly Valve, and the High Performance Triple Eccentric Butterfly valve continued to generate keen interest by Project & Plant Engineers. 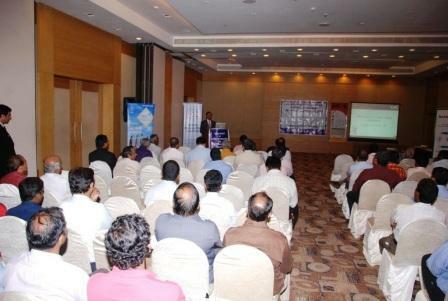 Advance Valves is committed to the GCC market, and has been present since 2000. We thank all our visitors whose rich interaction with us contributed to the success of our participation. We took the opportunity to celebrate our Silver Anniversary as Flow Solutions Provider with our Customers, Friends, Business Partners and other stake holders in Banglore & Ranchi. Having celebrated this milestone in Mumbai, Kolkata & Kochi, we have a series of celebrations lined up throughout the coming year for our friends in other parts of the country, and in other countries too! Stall No. E 34, Hall No. 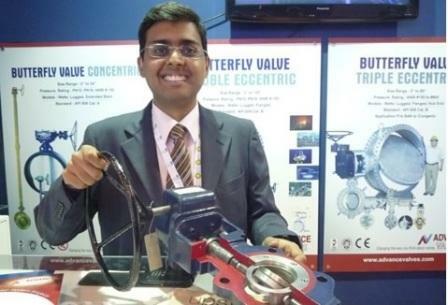 1 - Chemtech World Expo 2011: 23-26 Feb. 2011, at the Bombay Exhibition Centre, NSE Complex, Goregaon, Mumbai, India. Stall No. 35 in Hall No. 11: 24-26 Feb. 2011 at Pragati Maidan, New Delhi, India.